I miss Barak Obama, he is a decent, honourable man. Please can we have him back!!! "The way Shaffer has captured the voices of Biden and Obama is amazing. 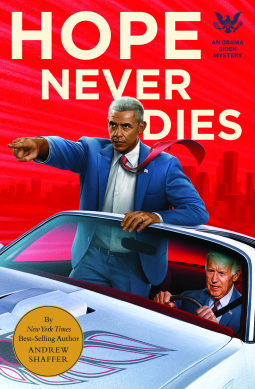 From how Biden casually drops a dated turn-of-phrase, to the coolest professor at the university tone of Obama, the writing in the book is endlessly entertaining, endearing the reader to his versions of the characters immediately. Every chapter is full of humor, charm, and emotional moments that ring true.